The mixer BS-250 is designed to force mixing concrete and mortar with a low water / cement content, or as they are called hard cement mixtures. 1.4. Installed capacity El. drive: 3-4 kW (380 V). 1.5. Weight – 300 kg. 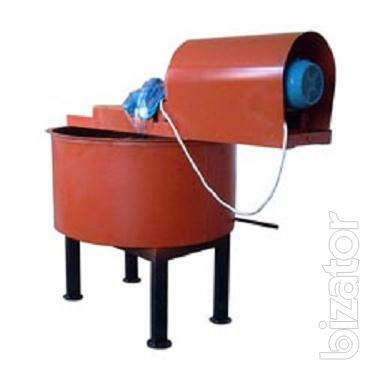 The principle of the mortar mixing machine: is forced thorough stirring of the mixture of vertical blades with blades and discharging the mixture through Luke.